The Cell Phone. Our Saviour? Some time ago I read an article in Time magazine by Bill Gates singing the praises of the market model. He gave an example of how the free market and technological gizmos had improved the lives of people in the third world, stating how companies had made cell phones cheaply available to people in the slums of Nairobl, for example. This didn’t quite ring true with me but I couldn’t put my finger on exactly why this was so. 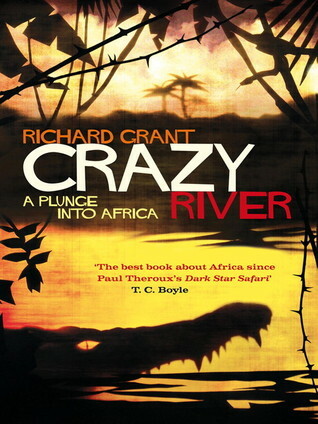 I’m presently reading Crazy River by Richard Grant. Part of the blurb on the back cover of the book says, ‘No one travels like Richard Grant and, really, no one should.’ I would tend to agree. His restless plunge into the seedier side of life in Zanzibar makes for entertaining reading while simultaneously reminding me of why I’d rather he be here than there. But I love the way he dives fervently and ever so personally into the milieu of the present in East Africa while sharing his reading and the research of others, particularly early African explorers like the enigmatic and controversial Victorian savant, Richard Burton. In our technology worshipping societies, the fact that one in three Africans now had access to a mobile phone was being taken as a wonderful sign of progress. I had a file of glowing reports about this phenomenon, collected from the British and American media, and not one of them had asked the obvious question: how are so many of the world’s poorest people able to pay for a handset, air-time and the fees to charge their phones at the local electricity shacks? Now, finally, some studies had been completed. Mobile phone users in the slums of Nairobi and Dar es Salaam were, on average, spending a third of their income on this vital new tool and status symbol, and to pay their bills they were cutting back on food for themselves and their children. Somehow, this doesn’t quite sound like progress to me. There is an allure to technology that is almost as addictive as nicotine. I still don’t have a cell phone. I don’t need one. But the words of Bill Gates are probably sincere. He wants to help. However, I sometimes wonder if there are mixed motives in this sort of altruism. The global market model is a thin veneer of righteousness really making excuses for how to find innovative ways to sell more stuff to more people. Is this really improving quality of life for consumers? For that matter, is it helping the environment? (See my earlier post How Many Cell Phones is a Gorilla Worth?) Here in New Zealand, Telecom recently made a cyber-change forcing its mobile phone users to buy new phones. The old ones no longer worked. That is planned obsolescence to the extreme. People rush and scurry about, working long hours to buy the latest technological ‘life-improver’. In places like Africa people reduce their food to afford their new ‘status symbol’ or they turn to crime to raise the necessary funds. Please note I use the phrase ‘quality of life for consumers.’ Maybe this is the crux of the issue. Have we forgotten we are human ‘beings’? ‘Being’ implies a state of presence out of which arises qualities such as giving and serving, attention and spontaneity. I’ll leave it to you to consider what consuming implies. Technology has a place. But let us not forget why we are here. At the very least, regularly ask the question of yourself: Why am I here? I dare say the answer will have little, if anything, to do with consumption or cell phones or computers. Related post: What Would I Do Without Modern Technology?